The post Idris Elba as Agent 007 is everything we need in our lives right now, survey says appeared first on theGrio. It’s with the heaviest of hearts and the deepest regrets that we inform you that Idris Elba, the man with whom you’ve established a long, committed and meaningful, if completely one-sided relationship, will not be playing James Bond. Did Idris Elba Hint at Being the First Black James Bond in Ambiguous Tweets? 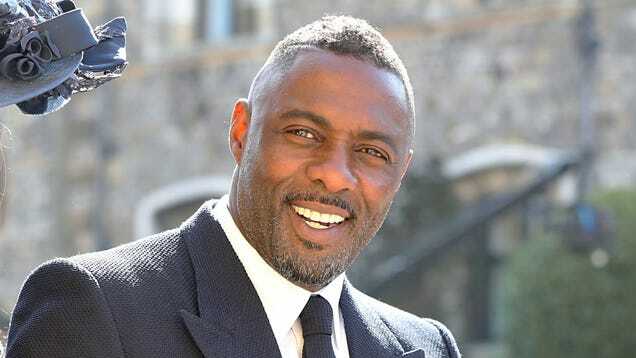 The post Idris Elba teases fans as James Bond rumors fly appeared first on theGrio. The post Idris Elba’s fiancée may feel a kind of way about him playing James Bond appeared first on theGrio. Though the Internet wants him to be the first "Black Bond," Elba has a better idea of who should play the spy legend. The post Idris Elba thinks the next James Bond could be a Black woman appeared first on theGrio. The post Jamie Foxx brings heavy action in ‘Sleepless,’ has idea for his own superhero character appeared first on theGrio.